“Aw, Snap“. 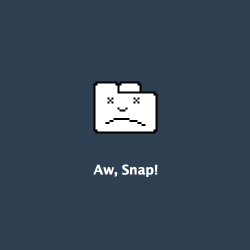 This is what Google likes to display in their Chrome browser when things don’t go as planned. So Art is having an “aw snap” week. A couple of weeks ago, after the family beach week, Art went to his kidney doctor and was told that he really needed to be on dialysis. 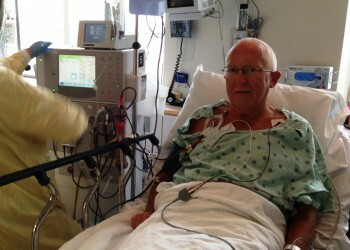 The doctor knew it would be better to not do it if the transplant could be done quickly so he gave him an extra week. On Tuesday of this week we met again and reviewed the latest tests…and he could wait no longer. So Art checked into Ball Hospital in Muncie, IN yesterday to have a catheter placed into his upper chest so that dialysis could be conducted until the transplant. The procedure to insert the catheter was quite painful and then they immediate rolled him to the dialysis center to try it out for a couple of hours. On Thursday they upped the time to 3 hours and fine-tuned what the procedure would be. Art suffered through some nausea and some huge leg cramps but they eventually got everything under control. 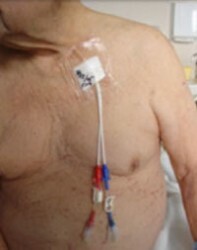 Friday will be the last dialysis session at the hospital. Starting next week he will be going to a center 3 days a week. This will continue until the transplant team sets a date for the surgery. Wednesday…while Art was being checked into the hospital…Ben and Becky came to the RV and helped finish packing to move our stuff to their house in Fishers. We rented a large high-top cargo van and Ben picked up some furniture that we have purchased in preparation for the move into our new home on Labor Day weekend. Sunday, a couple who are interested in buying the 5th wheel, will be coming to check it out. It would be great if they bought it, but if not we will have the unit towed to Camping World on the south side of Indy and try to sell it via consignment. I would say our plate has been a bit full but you probably guessed that part. Aw snap! Sorry Art, we were praying you wouldn’t have to go through this. Hopefully you will get on the list soon and won’t have to bear this for very long. Please take care and know that everyone is praying for you and sending encouragement.